THE ban on supply of gur to Afghanistan despite bumper sugarcane crop and the prolonged cold/dry weather have improved cane supply situation for sugar mills. However, farmers in Khyber PakhtunKhwa remain adversely affected. Along with fall in price of sugar, per satta (two purs or 150-180kg) price of gur has come down to about Rs8,000-9,000 this season from Rs16,000-17,000 last year. It is for the first time in recent years that gur has lost its competitiveness. “Huge cane production, low gur prices and damages caused to the crop by frost with fear of further loss to sucrose contents due to weather conditions, and the need to vacate lands for subsequent crops, are compelling farmers to bring their crops to the mills,” Khan added. According to Haji Naimat Shah Roghani, senior vice-president Anjuman-i-Kashtkaran KP, farmers widely cultivated cane this year following attractive prices of Rs338/50kg offered by mills, and around Rs16,000/satta price of gur in the market last year. Cane was sold even up to Rs500/50kg to private vendors engaged in juice extracting business. 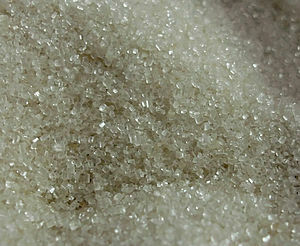 “Banning movement of gur to the tribal belt and its export to Afghanistan, which led to sharp fall in its prices, the faulty decision of the government to import sugar at the start of crushing season instead of lifting stocks from mills in time, led to fall in cane price severely affecting growers. This, no doubt, helped reduce sugar prices in the market but at a critical juncture making timely payments to farmers impossible, at least for now,” he said. 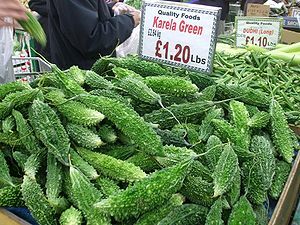 “The millers are offering a price of Rs200 for 50kg these days. 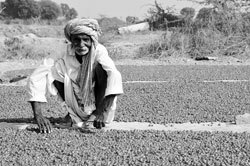 At the present rate of returns and for gur in the market, 300 maunds average per acre yield (15 purs or eight satta) could earn a farmer only Rs60,000 and nearly the same amount if he takes his produce to mills. The present rate of gur and the rate offered by mills are too little for farmers as the per acre cost of production has increased to almost over Rs60,000 due to steep rise in prices of farm inputs, services and increased land-rent in recent times, especially in the last couple of years,” said Mr Roghani. “With such a return that only equals the cost of production, farmers would hardly be inclined to grow sugarcane in the coming Kharif season. Does the government understand the risks involved?” he asked. Farmers in the cane-rich DIK have multiple complaints. Muhammad Ismael, a farmer from Luanda Sharif in DIK, said farmers were being denied indents, a prerequisite for cane-supply to mills. “Indents are issued only to big farmers who have access to right quarters. 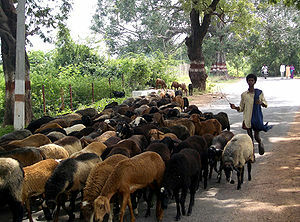 The farmers with poor resources are running from pillar to post. As gur production was mostly avoided by area farmers, selling cane to mills was the only option,” he said. ”But with indents not issued or delayed for lengthy process as these are being provided through agents against the past practice when it was directly given to farmers, we have to sell our cane to the commission ‘mafia’ at a lower prices but prompt payment. The commission agents buy the crop between Rs135-140 per 40kg against Rs150 offered by Chashma Sugar mills in the area,” he added. “Payments legally due in 15 days are delayed for months. A farmer who supplied cane to a mill last year received his payments this year. The farmers are also subjected to a cut of around 10-15 per cent on the pretext of poor quality and low sucrose content,” added Mr Ismael. With gur prices historically low, the commission agents should also have reduced their commission at gur markets. “But they continue to impose a commission of Rs130/pur in Mardan and Swabi while their counterparts in Peshawar and Charsadda were collecting only Rs40/pur. The government must ensure a uniform rate of commission for gur agents in the province,” Mr Roghani added. “The government is also needed to support farmers through targeted subsidies on inputs. It should remove or reduce general sales tax on agriculture services and inputs. It should allow export of gur and lift the ban on its movement to the provincially- and federally-administered tribal areas,” he stressed. THE country’s biggest tobacco research station in Mardan, severely handicapped by shortage of staff, is unable to offer much of the required expertise to farmers of the tobacco-rich region. At least 60 per cent posts of research officers at the station, run by the Pakistan Tobacco Board (PTB), are lying vacant. No appointments and postings have been made against the posts of retiring officials. Shortage of research and development staff at the PTB such as assistant development officers (ADOs) and field assistants in different districts is undermining its research and development activities and consequently liaison with tobacco farmers. The government should not only fulfill the manpower needs of the facility but also provide development staff at the grass root/farm level, farmers demand. The research station performs various functions and works to ensure production of quality tobacco crop in the region. “We have soil testing, plant pathology and breeding, and agronomy laboratories at the station. Experiments are conducted here on different crop varieties using different ratios of fertiliser, both imported and local, insects/pests and disease control methods apart from holding workshops, seminars and field days for training and educating farmers and other stakeholders,” said Ghulam Farid Marwat, manager at the station. Soil testing is carried out both at the station and at farm level. Soil sample from different areas of the country are collected regularly, and analysed and the findings of the tests are conveyed to farmers. The station is also working on green manure project in Mansehra in Khyber Pakhtunkhwa and Okara in Punjab. “For producing green manure, Egyptian clover (Barseem) is mixed in the land. We have used half the quantity of NPK (fertiliser blended with ingredients of nitrogen, phosphorus and potassium) generally used in fields and have obtained better results. The tobacco per hectare yield (PHY) increased from 2,600kg to 3,550kg with the improvement in soil condition. The technology and guidance would soon be transferred to farmers,” he said. The focus of PTB and the research station is on quality as well as quantity of the crop as smokers worldwide prefer quality tobacco leaves and products. “Farmers are needed to grow only the recommended varieties- Speight G28, K399, RGH4 and TM 2008. Tobacco companies do not buy tobacco other than these varieties. The new variety developed by PTB -TM 2008- has the potential to increase per hectare yield by over 20 per cent than the non-recommended varieties,” Marwat said. To a question, he said, whereas only about 20 per cent farmers in the past used to cultivate the recommended tobacco varieties, now most of them cultivate the recommended varieties. “This would help produce better quality tobacco crop generating more income for farmers and the country by boosting exporting of tobacco and its by-products,” he hoped. To minimise the use of wood in tobacco curing and avoiding deforestation, the facility has also built a solar-barn with the help of Peshawar University of Engineering and Technology. This energy is being used in curing tobacco. “This has saved about 50 per cent fuel. The facility will be transferred to farmers in coming years. With the help of one time investment, farmers will save a lot in fuel expenses as well as the environment from pollution,” he said. The station is also working on a project of growing mushroom. After the curing season, the curing barns of tobacco farmers lie unused for months which will now be used for growing mushroom. The idea will be expanded at farm level later and farmers would be guided and provided technical know-how. This will create income opportunities for farmers on the one hand and ensure availability of a protein-rich food for the people on the other. Though the station works in close collaboration with tobacco growers in solving their problems and developing the crop, the liaison among growers, the station and the PTB seems to be weak and needs practical steps to strengthen it further. 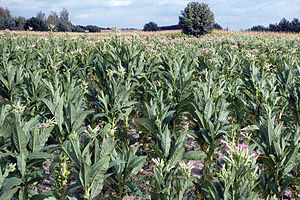 The facility should have more land under tobacco seeds cultivation as against the present 16 acres. Obviously, the facility is providing limited quantity of free seeds to selected growers due to meagre production of seeds and has left the task to tobacco companies. Besides Mardan’s tobacco farm, there are four other sub-research stations for developing tobacco crop – two each in Punjab and Khyber Pakhtunkhwa and one model farm in Buner which will be functional in next two years. Tobacco research stations are planned in Pishin, Balochistan, and Jampur Punjab in near future. Secretary PTB Numan Bashir confirmed that PTB and the station were facing paucity of research and development staff and feared that it might impact liaison with farmers at root level. “Most of the field assistants and ADOs have served for over 30 years now and have retired or are on the verge of retirement. For the moment, we have given additional charge to officers in some areas. Inductions will be made soon after go-ahead from the higher authorities,” he added. Nawabzada Khawaja Muhammad Khan Hoti was born in Mardan on 1st January 1955. He belongs to the Yousafzai tribe of Pakhtoons. He has passed Bachelor of Arts from Sindh University. He belongs to an influential political family. His father Nawabzada Mohammad Umar Khan Hoti was chief of Hoti. His grand father (Late) Nawab Sir Muhammad Akbar Khan Hoti was a big landlord and prominent political figure of NWFP. His maternal grand father Brig. Sir Nawab Muhammad Shah Jehan Khan (Late) was the ruler of Dir State. He is the son in law of (Late) Nawabzada Abdul Ghafoor Khan Hoti Ex-Governor NWFP, Federal Minister and Central Pakistan Muslim League Leader and has a son Umar Farooq Hoti – who recently created stir in Mardan when he joined PML (N) – and four daughters. KMH joined politics in 1979 as member of Mardan municipality. He joined the Pakistan Peoples Party (PPP) in 1987, became the General Secretary of its NWFP Chapter in 1998. One year later, he became the President of PPP NWFP. In1988 he became the advisor, and in 1989, the special assistant to the Chief Minister NWFP. Later, he was appointed Provincial Minister for Tourism for a short period. He also served as provincial Minister for Education from 1993-1996. Due to differences with Chairperson of PPP in 2004, he left the party as provincial president and later on, resigned from its basic membership. In 2006, he joined ANP and was appointed as its Central Vice President of ANP. He won National Assembly seat in Feb. 2008 and was given the portfolio of Federal Minister for Social Welfare & Special Education in April 2008. Now-a-days, he is Federal Minister for Narcotics Control. He is locally known as Baba-e-Rozgar and he says cannot help without providing jobs to the poor and needy. He is famous for his candid remarks. He is a public figure and feels like amongst the common man. This is why he is locally very popular. The News on Sunday: You remained very close to Shaheed Benazir Bhutto. How did you find her during your interaction with her? Khwaja Mohammad Khan Hoti: The truth is that BB was a leader with an unmatched political acumen. She was an international leader and was Pakistan’s cherished identity abroad. She was an asset to the country. Pakistan and Pakistanis have lost too much in her departure to Hereafter. She was a high calibre lady born and nurtured in a great political family- the Bhutto family- and tutored by one of the greatest leaders this country ever produced- Zulfiqar Ali Bhutto Shaheed. She had her peculiar qualities and was truly benazir (matchless). She always took informed and well thought out decisions in her political career. She had sagacity more than her any other contemporary. She would anticipate the future course of actions and would prepare her responses how to deal with them. I remember when I contacted her right after the 9/11; she was profoundly sad and said that it was a step that would have dangerous repercussions for the Muslims the world over and especially Pakistan. The events in the aftermath just testified to what she had anticipated on the very day of the terrorist attack. She had that outstanding ability to recognise the potentials workers and how to take them along with her. She was mardum shanas (good judge of people) and would deal with people according to their worth and capabilities. I personally miss her a lot. She held me in high esteem. You remember I was the PPP’s provincial president for NWFP. Once, in Dubai, when interviews for the aspirants of party tickets were being held before elections, I had a brawl with her on the issue of awarding party ticket to a person for elections. BB stressed that her nomination be endorsed which in my view was not suited to the prospects of the party. I objected to it. Difference of opinion took ugly terms and I walked out of the meeting saying that if our advice was not to be ignored, we had nothing to do there and told her that she should take the decisions herself and get these communicated to us which would be endorsed. Feeling disgusted, I went to the City Centre and was preparing to depart for Pakistan. Soon afterwards, she called for me. When I reached there, she smiled and said, “Hoti sahib! I agree to your suggestion because I have confidence in your political acumen.” Then she said that as I was angry with her that day, she would take us to lunch -which she very rarely did. On another occasion, when after a party’s public meeting in Lahore, there was a discussion as to the number of participants. Some said they numbered 20 thousands and others put the attendance at 30,000. When BB heard all of them, she asked me to give my analysis, and told those present that my assessment would be right as I always spoke the truth. I told them they all exaggerated and that actually the strength was five to six thousand. BB approved of my estimation. TNS: Despite the fact that there is a powerful PPP government in the centre and four provinces, the death of BB is yet to be investigated. How do you look at the delay? And also who do you think to be behind her death? KMH: I think her death should be promptly investigated. There have been many untraced killings in Pakistan and let’s hope that her case doesn’t add to these blind cases. Who ever that killed her has succeeded to strike the nation and the country hard. I don’t know as to whether local or foreign people or groups are to blame for her death but it’s our duty to expose her killers and bring them to justice as soon as possible. TNS: People say the present PPP regime is violating her legacy and the party is being haphazardly run. Do you agree? KMH: Since I am not in the PPP I cannot say for sure as to how the party is being run after her. I think only a party insider can be exactly aware of the things and feeling there. I am not in a position to say as to what changes have taken place since President Zardari became the party chief. TNS: You had differences with her. Could you explain as to why did you desert the PPP in early 1990s? KMH: Now as she is no more physically amongst us I don’t want to go into details about this matter. I have buried this hatchet. TNS: Your son Umer Farooq Hoti recently joined Pakistan Muslim League (Nawaz). Did you suggest this step? People say you are also to join the party soon? KMH: Yes my son has joined the PML (N). He had some serious differences with local leadership which I think were not dealt rightly by the local chapter of the party. Perhaps Farooq thought that he would have more vistas open to him there in PML (N) and that he could serve the people well if he joined it. So he took the decision on his own. You know he is my only son. If I cannot make him happy, I simply have no right to compel him on this front and thereby displease him. Then he is an adult and knows his interest well. But as far I am concerned, I am in the ANP. Asfandyar Wali Khan is my leader. He is like a brother and very dear to me. He is a respectable and knowledgeable man and knows politics well. If my son is in a party other than mine, this has been done by others in the past and is seen even today. Wasn’t Asfandyar’s grand-father Bacha Khan a veteran of Congress while the latter’s elder brother Dr Khan sahib was in the Unionist party before independence? Aren’t the two brothers from Laki Marwat – Saleem Saifullah and Anwar Saifullah – in the PML and PPP respectively? I would also like to draw your attention to the past. You know I was inducted into politics by my uncle Abdul Ghafoor Khan Hoti, former NWFP Governor who was a PML stalwart. He wanted me to join PML and would argue with me. But I joined the PPP in 1987 instead. TNS: But don’t you have differences with, and difficulties in, the ANP? KMH: We do have been facing some difficulties but I think they are the products of local conspiracies against us. I want to make it crystal clear to all plotters that ministerial or party slots have no significance in my eyes. These come and go. My family has always been the lucky one in this connection. In my case especially, I have worked on too many important slots in different governments. I have made commitments to people in my constituency- You know I am locally known as Baba-e- Rozgar (Father of jobs) because I believe in service and try to provide jobs to the needy. I am proud of my reputation and feel happy that I am not known as Baba-e- corruption which someone else is. Ministries may seem attractive only to those who make money out of them. I have never indulged in corruption and have always met my personal and political expenses by selling my ancestral property. The confidence, support and service of the people are dearer to me. I am not ready to compromise on Pakistan and the rights of the people of Mardan. The moment I realised I won’t be able to fulfil the promises I made with the people, I will resign and go to the people again to apprise them of the situation. I believe in transparency and always consult my constituency on whatever step I take. That will be my last day in office. Also, I am an oppositionist by nature. I feel like being with the people who oppose an incumbent regime. TNS: How do you look at the performances of central or NWFP government so far? KMH: I think there are some problems to face, ranging from law and order to financial crunch to external threats to political tensions. The governments are trying to solve the problems. The question is what after them? Who else has the panacea for these ills? I believe the Pakistani nation is ready to confront all these hardships with courage and patience. The people, unfortunately, are not being taken into confidence. The sooner it is done, the better. I think we need an overall surgery of our policies. These must be brought in tune with the people’s wishes. TNS: During your election campaign, you would chastise the US policy vis-à-vis Pakistan and Muslims. What about that now? KMH: Pakistan is a declared non NATO ally of the US. Bilateral relations are meant for the benefit of both the countries. We’ll try our best to rid the world of terrorism. But we have our limits and cannot and must not exceed them to have our own polity jeopardised for them. We may be prima facie divided, we may belong to divergent groups and parties but we are united in that we are not ready to compromise on our sovereignty and national honour. For us Pakistan comes first and other things follow it. It is somewhat a universal truth that we have embraced as a nation. While Pakistan would do whatever it could to eradicate extremism and terrorism, it also expects rational thinking from its other allies. The present stereotyped tendency of putting all the blames of each and very thing on Pakistan will have to be avoided. It will only create problems and will serve no purpose for the coalition. If President Bush has been attacked by shoes, it is not a work of Pakistan’s making. The US will have to change its policy from aggression to peaceful dialogue with its opponents. It will have to bring a shift in its policies towards the Islamic world. When you support the killers of Palestinians, you will have to face indignation from the whole Muslim Ummah. While successive Pakistani governments are also to blame for the scourge, much of the terrorism in the world today is a reaction to US policies. If you also look at the huge anti-war rallies worldwide, you can see that the US has lost the war for hearts and minds. The American people need to know the truth. The US will have to think as to why it is being looked as an anti-Islam/Muslim power. The US must forthwith shun its militant approach, befriend the nations and avoid subjugating them. And look at the respective attitude of India. It also accuses us of being supportive to terrorism. It ignores that Pakistan is itself a target of terrorists. If terrorists from India or Iraq target Pakistan, does it give us a license to attack these countries? Certainly not. It would have to forgo this mentality of accusation and threats. If it continues to charge Pakistan of whatever ugly takes place there, we also have questions regarding its role. When Pakistan overlooks the Indian intrigues against Pakistan or the disproportionately large presence of Indian consulates in Afghanistan, India should also reciprocate the same gestures. TNS: You remained in the political arena for quite a time now. Based on your experience, what are the three main problems the Pakistani political system is faced with? KMH: We considerably lack tolerance. Be that leaders or workers, they all try to benefit at the expense of others. They see their party colleagues not as brothers and friends but as rivals who must be sidelined and maligned to minimise their own prospects. Look when some vested interests in the ANP conspired against us in Mardan, my son was compelled to join the PML (N). This practice goes on unabated at all levels-local, provincial and national- in the country. Politics should not be turned into personal enmity which is a common sight through out Pakistan. Another malady with our political system in my view is that promises are made but are mostly violated. Commitments are fulfilled the least. Because the promises are not intended to be pursued, mostly unrealistic commitments are made with the people. The public is not taken into confidence by the leaders if there are any hurdles and problems in the realisation of promises and objectives. This causes public resentment and disenchantment with the politicians. The third drawback in our system to me is that there is too much experimentation in every department. Policies are made, changed and replaced. Projects are started, then lethargy engulfs those who run it and at last these are shelved for ever. Very handsome policies are prepared but these always await implementation. This lethargy has dealt us severe blows through out our history. 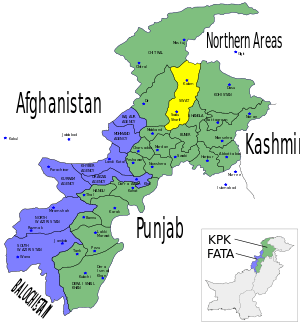 TNS: where does Pakistan stand today in Narcotics-trade? KMH: There are at present an estimated 600,000 drug addicts in Pakistan. It accounts for a little over 2 % of the world’s Narcotics business. Afghanistan now a days is world’s biggest supplier of Narcotics- around 7800 hectors of poppy cultivation has been estimated there. The international drug mafia has changed its focus from Pakistan and is now taking drugs to Europe on some other routes in Iran, Turkmenistan and Bangkok. And one interesting information, Holland of late has legalised the use of Charas (cannabis) in its country. TNS: How can the drug trafficking be stopped or minimised? KMH: China and Saudi Arabia award death penalties to drug traffickers but even then people take drugs there. Narco mafia is very powerful and spread over the globe. It is very difficult to eliminate the business altogether. But we will have to continue our efforts for a drug-free world. We may not be able to eradicate the trade entirely but will decrease it for sure. As Pakistan is concerned, it faces many constraints. The narcotics’ department is yet to have its own building. It has a total budget of Rs.120 million which much too less than actually needed- as against it, the social welfare department’s budget when I was its minister recently was Rs.9000 million. The department has a workforce of three thousand employees that supervise border areas spread over thousands km- according to an estimate every official looks after an area of 10km to ensure that drug peddling doesn’t take place. Is it possible for him? As against it Iran has a total anti narcotics force of 35000 while Turkmenistan has 25000 personnel for the purpose. Also their pays are ridiculously small- while they are astonishingly expected to deal fairly with the narcotics-trade worth millions, and often billions, of rupees and have to contend with the resourceful drug mafia which is ever ready to invest on them. They deserve to be remunerated well. More incentives must be given to them and to the informers that risk their lives against the dangerous and powerful drug barons. We also need X-ray machines. Small dealers should also be arrested but it is the drug barons that would have to be given special attention- after all the small peddlers get it only form them to pass on to consumers. We also need to have more narcotics police stations around the country. Again, the importance of having more hospitals for drug addicts cannot be exaggerated- I am happy to announce that the present regime has envisaged to open a few narcotics police stations and Benazir Hospitals for drug addicts in the country. THE farm tool producers at Gujar Garhi in Mardan say that they need technical and financial support to upgrade the existing cluster. The site is not on the list of clusters selected by the Small and Medium Enterprise Development Authority (Smeda) for development initiatives. Various equipment from the smallest to the biggest agriculture tools are manufactured in this cluster and have province-wide demand because of their cheaper rates. “Our agriculture tools such as rotary hoe, shovel, spade, sickle, pickaxe, gur-ganees, plough, wheat-threshers and tractor trolleys are popular in and around the province. Though the wheat-threshers made here are of standard quality they are a bit costlier as against those made in Faisalabad because they are made in bulk quantity,” said Gulzaruddin, a manufacturer of farm tools and micro-power plants. “The iron sheet cutter we manufacture has a price of around Rs1.2 million while the imported one costs around Rs25-30 million. The micro-power sheet binding and rolling machines produced by us are cheaper than those made in other clusters. We also make standard but cheaper micro-hydro-power plants that are accepted both nationally,” said another manufacturer at the site. But load-shedding is playing havoc with production in the cluster. “We avoid taking bulk work-orders as only three to four hours of daily power supply has left us with no option. If we use generators, our cost of production increases and our goods become uncompetitive in the market,” he said. “Militancy and terrorism have also taken their toll. Our sales have dropped by 50 per cent in the last few years and we are also exposed to kidnapping for ransom,” he added. “In the wake of growing energy crisis and law and order, the cluster needs relief in taxes and electricity and gas tariff,” he urged. The cluster is situated on the main Mardan-Swat highway and must be shifted to an industrial estate. “The industrial estate should be built nearby in close collaboration with and direct supervision of the local manufacturers. Plots should be provided to us on monthly installments,” he added. Iftikhar Ali, a dealer in agriculture implements, said in the past training, equipment and financial support were provide to local entrepreneurs, but there was nothing of the sort at present. There are around 120 small, medium and big manufacturing factories in the cluster. Many of these, however, are still working with outdated tools. “This warrants spacious factories, more investment and technical support of the government and capacity building of the workers,” said Ali. “The cluster should have common facility centres and machine pool from which small artisans unable to buy machines could get them on rent,” said another wholesaler. Free flow of electricity, easy loans, preferably interest-free ones, tax-relief and a separate industrial estate for the cluster are the steps urgently needed, he added. Interviews with several manufacturers and industrialists revealed that most of them would like to have Sharia-compliant interest-free loans. A few others said loans on low mark up and easy conditions could be acceptable. Smeda can help develop networking among manufacturers, upgrade technology, improve human resource skills and market products internationally. Javed Khatak, chief of Smeda NWFP, said cluster had enormous significance in terms of manufacturing of agricultural tools. “The agriculture tools manufactured here are even exported to other countries. The government and my organisation would do whatever possible to promote this cluster,” he said. “We would open common facility centre at the cluster soon. Modern machineries would be provided to industrialists on rent basis. We would also facilitate group based raw-material procurement to diminish the cost of transportation. We would arrange a skill development component for the cluster workers. The government would also provide them support for their capacity enhancement and standardisation of their products which will help them meet bulk-demands in future and increase their market attraction,” Khatak added.